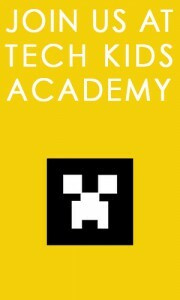 TECH KIDS ACADEMY, the 1st digital academy for kids & teens, aims at enhancing their creativity and enabling them to unveil their digital talents. In our creative computing workshops, children aged 7 to 17 learn IT in a fun way and become active with new technologies: coding, electronics, robotics, 3D design & printing, photo, video, animation etc. Holiday camps and birthday parties are great opportunities for young people to share an extraordinary experience. Coding, creating and innovating become as easy as child’s play! As a genuine alternative solution on the after-school activities market and complementary to school, our offer is truly innovative and disruptive, and contributes to the digital transformation of our educational system which we believe is going to change the world of digital natives. In partnership with Samsung, we launched the first MOOC (Massive Open Online Course) to teach code to kids: www.lecampusjunior.fr, free online workshops, fun and educational contents in French, specifially designed for children by our experts and fully adapted for children aged 7-13. 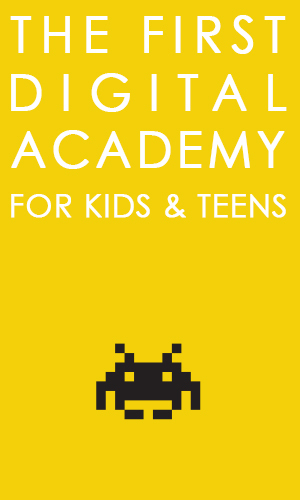 The first digital academy, a unique spot dedicated to new technologies, in a New-York loft style, to meet in a friendly atmosphere: after-school activities all year long, mini-camps during the holidays and special nights & events. 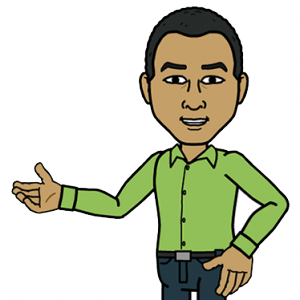 Computer science enthusiast from an early age, my career led me to different positions in IT companies and communication agencies, working as a consultant for customers concerned by their digital transformation. With over 15 years of experience in web marketing, project management, consulting in strategy of communication and the design and production of digital platforms, I now wish to use my skills and expertise in new technologies to benefit our kids’ future. Co-founder of the association for the promotion and defense of free software (April), I’ve been working almost 20 years in IT companies, as a system administrator, project manager and software architect for major account customers. I am a real Swiss army knife in free software and computer science savvy in multi subjects (administration, programming, music, design...). I believe that knowledge should be shared to a large extent and would like young people to benefit from it and use it in their future projects. 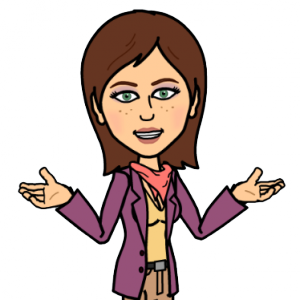 You are digital native and are passionate with computers and video games? You have a good web culture and are motivated to work with children? You have good skills in design & video games development? You master drawing software, photo, video, or 3D animation? You are interested in new technologies, innovation and web marketing? You dream of program games for tablets? If you managed to read that far and want to join an innovative startup, contact us!